Bank of Us is a provider of credit cards, home loans, personal loans, bank accounts, term deposits, home insurance, car insurance, and travel insurance. 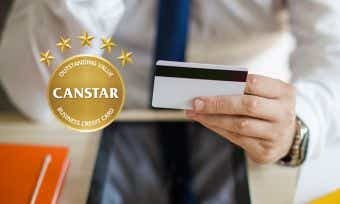 If you’re considering an Bank of Us credit card, then check out what’s available in our comparison table below. This table is based on a monthly spend of $2,000 and is sorted by our star ratings (highest-lowest). Bank of Us has just one credit card on offer at the time of writing: the no-frills Bank of Us VISA credit card. Having a good credit score will also help. Once you’ve made sure you meet the criteria above, you can apply for a Bank of Us credit card. If you live in Tasmania, you can go into a physical branch to complete the process in person, or you can do it online, or over the phone by calling 1300 306 716. How do I activate my Bank of Us credit card? Can I manage my Bank of Us credit card online? You can manage your Bank of Us credit card through online banking or the mobile banking app. To register for online banking, you must visit a branch in-store or call them on 1300 306 716. Once you have registered, you can use online banking or the mobile app to do things like activate your card, view your recent transaction history, view your balance, and more. The Bank of Us mobile app is available on both Android and Apple phones. How is interest calculated on my Bank of Us credit card? Interest is charged when you carry a balance on your Auswide Bank credit card. Interest is charged on cash advances from the date of withdrawal. If you do not pay the closing balance of your card in full by the due date, interest will be charged on all unpaid purchases and fees and charges from their respective posting dates, as per the terms and conditions. The Bank of Us VISA card has up to 57 interest-free days on it. Interest-free days apply if you have paid the balance in full for the previous month’s statement and for the current month’s statement, and you will not pay any interest on purchases made during this time. What will my credit limit be on my Bank of Us credit card? Your credit limit for a Bank of Us credit card will be determined based on the information you provide in your application, and you can change it at your own discretion if you wish. You can find out more about how credit card limits are determined here. If you want to adjust the credit limit on your Bank of Us credit card, you can fill out a credit card maintenance form and post it to your local branch. How do I close my Bank of Us credit card account? If you wish to cancel your credit card with Bank of Us, you can call them on 1300 306 716. They will officially cancel the card when it is returned to them and your card balance is repaid in full. You will continue to receive monthly statements until your card balance is fully repaid, even after the card is closed. You can also call Bank of Us on 1300 306 716 if you are experiencing financial hardship, as they may have potential solutions for you other than closing the card. Bank of Us began as the Launceston Equitable Building and Investment Society all the way back in 1870. The cash taken at the first meeting only amounted to $235, and it took 10 years before any of these founding members received any return on their investment. The initial purpose of the Equitable Building Society was to help people to manage their money well and buy their own homes at a time when there was no public housing in Tasmania. This society became Bank of Us as you know it today back in 2001, when they rebranded to create a fresh, new image. By 2006, the bank had grown to more than 30,000 members with assets of more than $400 million, making it the second most recognised financial institution in the state of Tasmania. Bank of Us is active in the local Tasmanian community, particularly when it comes to health initiatives. Bank of Us sponsors several of Tasmania’s leading fun runs, including the Bank of Us Launceston Ten, the Bank of Us Burnie Ten, and the Bank of Us Hobart Run the Bridge.